Begin your preschool breakfast lesson by talking about foods that are good for us to eat and what makes them healthy. Many young children already know that too much sugar is harmful and can tell you foods that they think are “junk” foods. But what about the good foods on the food pyramid – how many food groups can the children recite? Talk about the food groups: dairy, grain products, fruits, vegetables, and meats. Show children a picture of the food pyramid and the new “my plate” icon. Included on this website are posters, coloring sheet, and interactive game. Ask the children to talk about what makes a healthy breakfast. Remember that when we say “good food” we mean healthy for you. Children know that donuts taste good, but may not realize that they are not a healthy breakfast food. To help the children understand this idea, try this activity. Place two large sheets of paper on a table with a variety of magazines and supermarket ads. Write the word “Junk” on one sheet and “Healthy” on the other. Encourage the children to cut out (younger children can tear the pictures or you can help them cut them out) and glue these pictures of foods on the correct sheet. This game is not only fun, but teaches the difference between junk and healthy foods. Form a circle and say the following rhyme together. Tell the children to fall down when a junk food is named. Oranges, oranges, we all fall down. 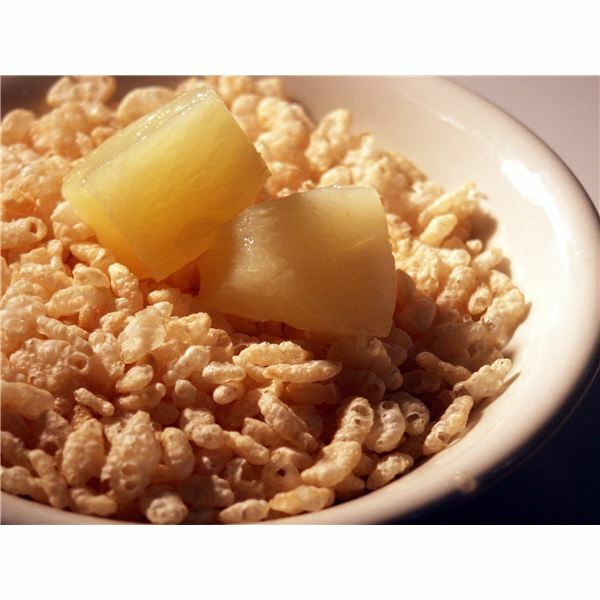 (The children do not fall down with this one – the food is healthy). Continue this game asking the children to name foods to put into the verse. See how many they get correct! Do you think your class is ready to join the breakfast club? When they can tell the difference between the foods that are good for them and those they are junk, it's time to start some new activities. Ask the children to bring one picture of a healthy breakfast food or drink from home. It can be a magazine picture or even a photo of the child eating a wholesome breakfast. The teacher can designate a bulletin board for this project and each day add the pictures that the children bring in to class. You may want to name your bulletin board, "Nutritious Delicious" or "Healthy Choices." Write the children's names on a large poster board. Provide a few minutes daily in circle time for the children to tell you what they ate for breakfast. You may begin by praising the children for just eating breakfast (some children skip this meal) and reward them as they try to eat more healthy foods. Good breakfast rewards are stickers the children select to place beside their names. 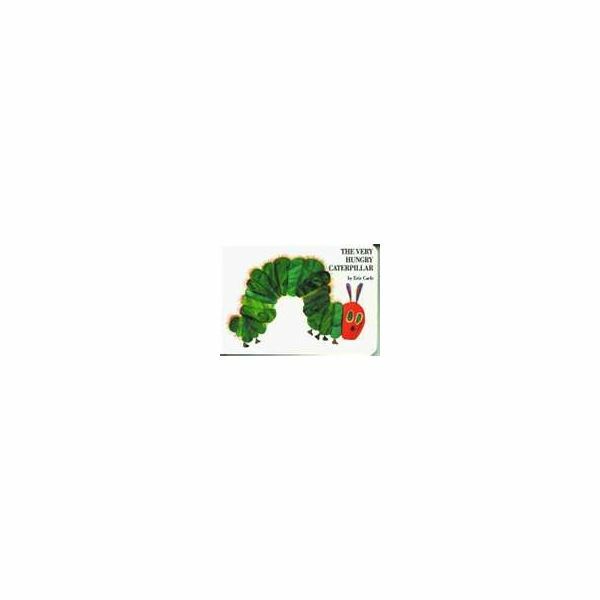 Start by reading the book, The Very Hungry Caterpillar by Eric Carle. This book teaches about different types of foods. After reading about all the foods the caterpillar ate, place bite-sized pieces of the fruit he ate out on the table for the children to sample. These include apples, pears, oranges, plums and strawberries. Discuss that fruits are good foods. Then talk about all the junk foods the caterpillar ate, such as chocolate cake, ice cream, and candy. Did the caterpillar get a stomachache? Why? To make a cute "good food" caterpillar, cut a cardboard egg carton in half lengthwise. This will make a caterpillar body. Invite the children to use a pipe cleaner (folded in half) for the antennae. Help them to tape this onto the head of the caterpillar. The children can paint the caterpillar if they wish. Challenge the children to search through magazines and supermarket ads and cut out pictures of healthy foods, some that were mentioned in the book and others that they know are healthy to eat. Let them glue these pictures on the caterpillar's body to show the good foods he ate or could have eaten. As you show children pictures of foods, ask them to tell you if they are healthy good foods or junk foods. Also, ask the children which foods would make a good breakfast. Eating healthy fuels the body and makes you feel good. Use this premise to teach children about the healthy and unhealthy foods in a fun and entertaining way. Note: Even some junk foods are on occasion are alright to eat. It’s not fair to say that ice cream or even cake can never be eaten. These foods should be kept to a minimum and used as a treat. Now as a breakfast food – I don’t think so!